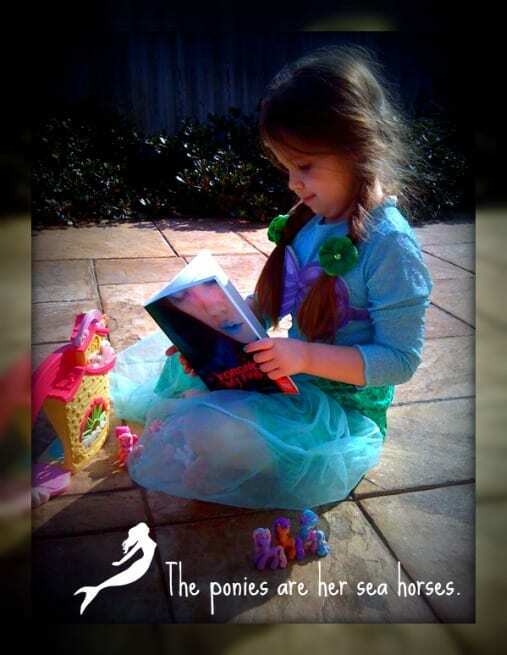 Forgive me for talking about the awesomeness that is Tera Lynn Childs yet again on my blog, but I just have to. Now, let it be known that since a certain redheaded fish type sang all about she wanted to be part of MY world, I’ve had a thing for mermaids. They’re mysteriously beautiful, secretly coy, and they live in the SEA for crying out loud. 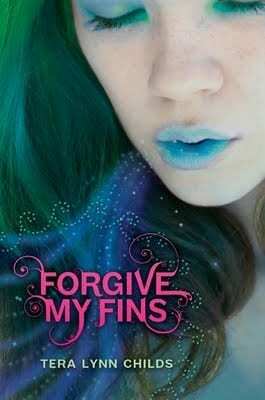 So, when Tera’s editor was giving away Advanced Reader’s Copies of her book, Forgive My Fins, on twitter. I pimped out my kid and her adorableness. Yeah, her entire life is pretty much that awesome. When I got this book in the mail I decided to wait until the evening to read it. You know, so I could be totally distraction free. I hopped into the bathtub and cracked it open. OMG LOOK at that Cover, is that not the most amazing thing you’ve ever seen? Well, turns out the tub was the perfect place to start this book! Well, when I got all pruney, I still couldn’t put it down. There were magic kisses, mermaid spells, cute boys, swimming competitions. Oh man, I could go on and on. If you’re looking for the kind of story that starts out awesome, and just gets more and more awesome as it goes on, then you have to read this book. I actually cried at one point, and that’s saying something–because I have to be really IN to a story to shed tears, but it was so worth it. With all the fast paced fishtastic scenes and steamy love, I had no choice but to finish the whole thing in one sitting. Because I love the book so much, and because Tera Lynn is so cool, I’m giving away mermaid mark tattoos (all the mermaids in the book have mermaid marks on the back of their neck) on the blog today. I have five of them to give away, and I’ll give them to the people that make the best fish-type puns in the comments below! Nothing fishy at all about it. (See what I did there, internet?) So, MAKE ME LAUGH I’ll mail YOU a TATTOO of adorableness! Oh. My. Cod. Becky! Look at that halibut. It looks like one of those wrasses’ girlfriends or something. scales and she’s all up on your tail you get stung! .-= Abby Stevens´s last blog ..How I edit =-. @Abby Stevens, okay, this is SO full of win that you win TWO TATTOOS! email your addy to jamie@totallythebomb.com for a tattoo!